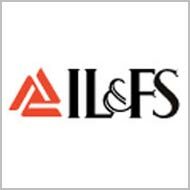 IL&FS Energy Development Co Ltd, the power generation and infrastructure development arm of Infrastructure Leasing & Financial Services Ltd, proposes to rapidly ramp up its solar power generation capacity. After having done about 1,004 MW in wind energy, we now want to ramp up in the solar space. The structuring, and in what way it will be done, is being discussed internally,” Sunil Wadhwa, Managing Director, IL&FS Energy, told Business Line. The company at present has around 740 MW of wind energy projects operational while another 260 MW is under construction and will come online by March 2016.In the solar power space, it has a 40 MW project in Madhya Pradesh apart from a rooftop solar project for Amity University in Noida.